This February, Nancy and I will have been married 45 years, and will have known each other nearly 50. She is pretty special. I have been thinking about the guy on CNN who rolled his little Jeep onto its roof with young family inside. There it sat, in the middle of nowhere, four tires in the air. They were there, in subzero weather, for 3-4 days. And no one lost even a small toe or pinky. They say he looked out for his family. What was he thinking? Then I think of a few things I have put my dear ones through. 1. Nancy (then Goodfellow) and I once made it back from a “Mind Garage” concert in Morgantown on the old two lane road faster than I can now traverse the interstate. I told her, “I will get you back to the dorm in time, but you can’t whine.” She didn’t. And we did. But it was a crazy decision. 2. Another time, before wedding bells were ever considered, my friend John West and I took our dates to Audra State Park in a snow storm. 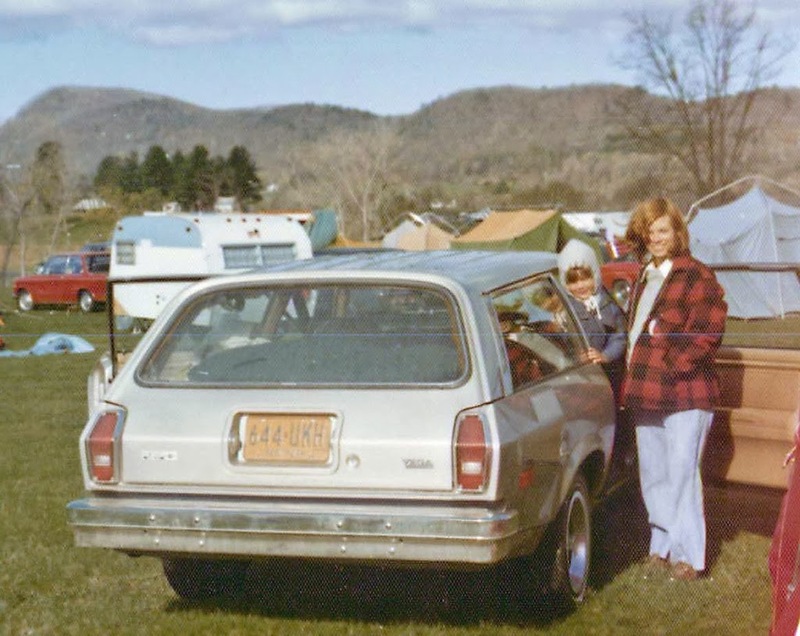 We made it home “the back way” by putting the three of them in the trunk of my 1966 Buick Skylark. We slid backward down several steep hills before making it back. Then we ate dinner in the old Maggies Restaurant, not “C.J. Maggies”. I think that was when she started to think of me as an interesting fellow. 4. After marriage. Nancy “rustic camped” with me at Lime Rock Park just a couple weeks before son Christopher arrived. What was I thinking? The college boys next door were kind enough to quiet down, but the spring storm tore our tent in two. 5. On another occasion, the Crazies at Watkins Glen Rack Track tried to lure our RV into the Bog so they could burn it. Had to risk running down some “hippies” as they threw large rocks at us. My secretary and FB Friend, Cathy Paige, and husband Chuck , were with us. Cathy can confirm it was a close call. 6. 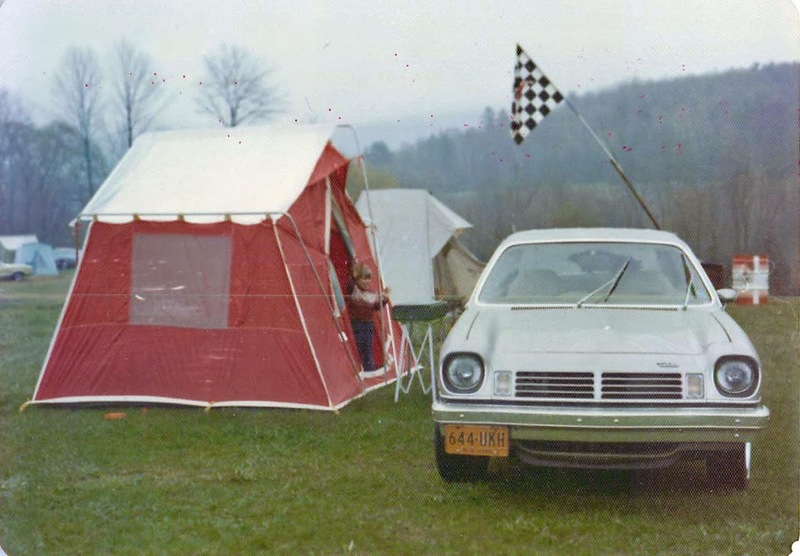 We also “flat towed” a Ford Pinto to Lime Rock, Watkins Glen, Summit Point, and all night to Rockingham Raceway, N.C. Who puts up with a husband doing such stuff? 7. 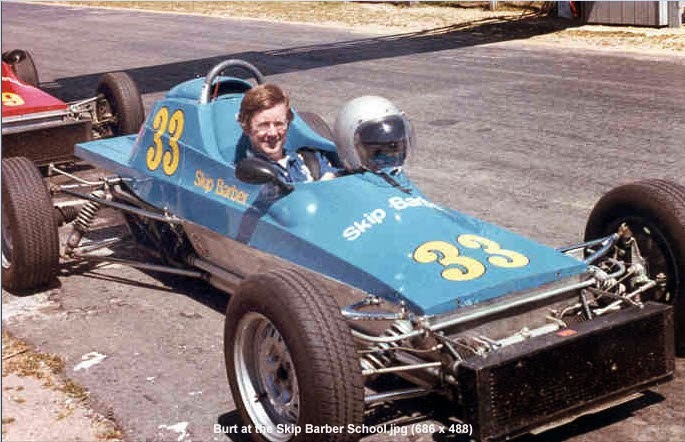 The “big blow” was to our pocket book the next year when I crunched on of Skip Barber’s formula race car into the Armco Barrier. I cried over that one, apologized, and “retired” for 30 years. I love Skip to this day because he waived their $1000 deductible. $1000 was pretty big money in 1980. 8. When we returned to Buckhannon from the USAF JAG Corp, at Griffiss A.F.B., Rome N.Y., we had another occasion to drive to Audra in the snow. With strong assertions, “You had better not get us stuck.” She made the identical trip, and more. Better tires, better car for the weather. No problem. 9. Three weeks before Justin was supposed to arrive, I took son John to Summit Point Race Track. The morning of race day, I was called to the tower, where a state Trooper informed me I was a father again. Being already there, I won the race and “high tailed” it back to Buckhannon. We again broke some time records, on and off the track. Had to explain my situation to another state trooper on U.S. Rt. 50. He had pity and sent me on my way. What was I thinking? 10. A few years later, Nancy endured learning that I had “loaned” Christopher to some nice seeming race fans while I raced. When I came back, he was safe and sound. We were “family” back then. It wasn’t so nice when I brought 6 year old Justin back from the track with a large piece of medical tape and gauze holding his ear on. I said, “It’s not that bad, and she started crying.” It wasn’t that bad, really. We left the tape on awhile and stitches weren’t necessary. 11. 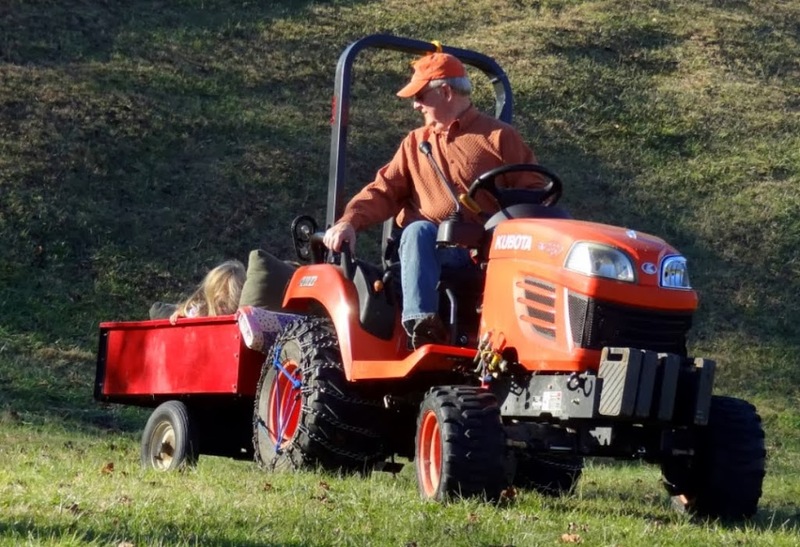 These days, I have calmed down a bit, but Nancy knows I will come to her at least once each season, asking her to grab the “come-a-long”, or her car, to pull my tractor out of a hole or our pond. This spring, she got a phone call, “help!” I had my feet slip straight out in front of me on our slippery dock so my shoulders and head slammed onto hard wood. No harm, no foul. But she was there in moments, ready to tend to me. 12. 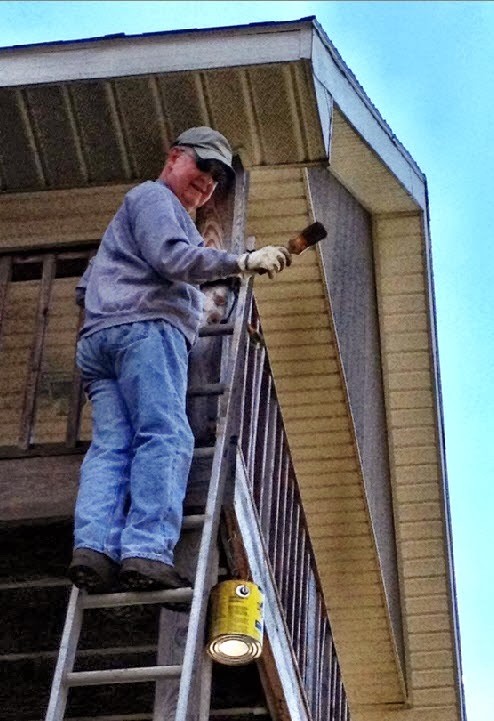 And, last fall, while 20 ft. up, while treating our deck, my ladder slipped, and she had to lie on my elbows so I didn’t “go down with the ship”. She is deceptively strong for her size. Can you tell that my beloved wife is tough, feisty, patient and forgiving? I hope the guy with the Jeep is just as lucky.